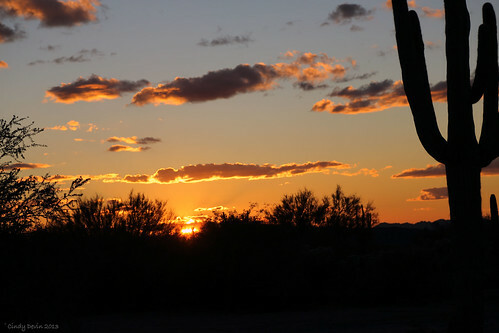 Though Arizona summers can be scorchers, each and every snowbird staying in our wonderful Mesa mobile homes knows that the gorgeous state is second to none when it comes to too-cool winters. But beyond soaking up the rays while the rest of the country is knee-deep in snow, what winter activities should you look into and plan for? Because here at Palm Gardens, we love the Arizona weather just as much as you do, we’ve put together a list of three of the state’s most exciting winter attractions and activities. Leave your snow shovel at the door, and say goodbye to the Polar Vortex with these winter tips! One (large) benefit of spending a winter in Arizona is the ability to spend time outside all season long. During your stay, soak in all that the state has to offer by taking a day trip to the desert. From the beautiful red rock Sedona to the green and gorgeous Prescott, from breathtaking Payson to one-of-a-kind Strawberry, pack a bag, go on a hike, or just sit back and enjoy that unforgettable desert sunset. It’s no secret that one of Arizona’s biggest draws (regardless of the season) is the state’s incredible wealth of impressive golf courses. Whether you’ve been an avid golfer all your life or you’ve yet to pick up a club, join other enthusiasts throughout the valley in tournaments, friendly games, or a relaxing afternoon under the sun and on the green. While there are many who come to Arizona to avoid the snow, there are those who don’t mind a little powder every now and then. For those who love the snow, but only in moderation, consider planning a brief trip to Flagstaff – Arizona’s own winter wonderland. From the slopes at Snowbowl to the incredible small town charm, if you enjoy aspects of a more traditional winter season every now and then, explore the beautiful Flagstaff located just two hours from Phoenix.